We believe that it is important for our customers to make a rational. We believe that it is important for our customers to make a rational and informed choice when it comes to picking their ultimate parking destination. Therefore ParkMeApp has incorporated this feature for the betterment of the ParkMeApp community. Now our users can compare the price rates and pick the cheapest and safest spot. 2. Why do you need to use? We have realized how it may be difficult for you to pick the best spot to park your vehicle from many options. It’s important to be concerned both for the safety of your vehicle and the cost-effectiveness of your choice. Therefore ParkMeApp allows you to easily compare the price rates of Parking spots. 3. How does this work? First, search for Parking spots that are nearby to your location. The colour indicated spot bubbles will help you identify the free spots and the price rates. Compare the prices and pick the cheapest and safest Parking spot for your vehicle. Message to Parking Spot Owners? Picking the cheapest Parking spot is a very crucial decision. Allow ParkMeApp to support you and make a comparative analysis on your own. We appreciate your honest feedback and experience about this feature. Share your Experience below. 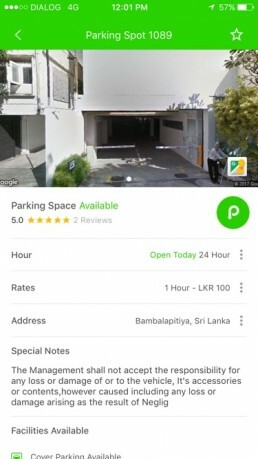 ParkMeApp is the smart solution for day to day parking hassle in urban areas like Colombo, Kandy, Gampaha, Negombo etc. On weekdays It’s not easy to find a parking in Colombo, ParkMeApp has included more than 1200+ parking spots around Colombo. 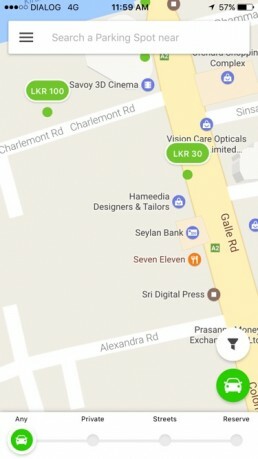 This application shows all the free parking, temporary parking and paid parking in Sri Lanka. 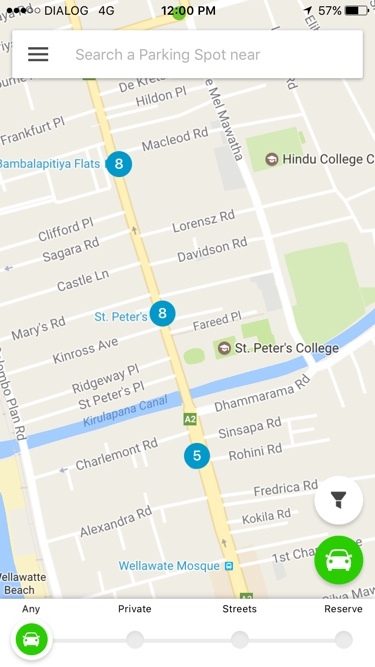 There are more than 5000+ parking spots all around Sri Lanka, Especially in historical cities like Anuradhapura, Polonnaruwa, Sigiriya, Galle and all the safe parking spots around famous beaches like Hikkaduwa, Arugambay, Negombo etc. Travel to Nuwara Eliya, Jaffna, Matara, Ampara or anywhere in Sri Lanka without any fear ParkMeApp always finds you the safest parking near you. All you have to do is open up the parking app it will show you all the public parking, free parking and private parking near your current location. You can find the cheap parking spots that suit your budget and you can find the perfect parking by filtering available facilities which are offered by the parking owners. Not only that app offer Real-time Availability of the Parking spaces and real user feedback to make sure the service is remain quality. Also if you have or knew any new spots you can Become a Contributor and be part of identifying new parking spaces. App is free to use and available in both Google Android Play Store and Apple App Store, ParkMeApp is a 100% Sri Lankan product developed by Ceffectz. Start your hassle free parking experience today and enjoy every ride.